After 2014 oil crisis, UAE decided to change its priorities from oil-based economy to knowledge-based economy in order to laid foundation of its economy on firm basis. But Dubai is far different form rest of UAE as it was already relying on business and tourism for its economy. Its efforts to improve its economic condition through these two sectors have continued. For this purpose, Dubai announced several steps in recent past including freezing of school fees for 2018-19, payment in installment for license renewal, reducing various fines and fees and several others. Apart from these concessions by the emirate of Dubai, several other reforms were also announced on state level including 10 year residential visa for investors and professionals, 100% foreign ownership in UAE mainland etc. Now there are confirmed reports that Dubai will announce new round of incentives in September to attract more foreign investment, increase Dubai’s GDP over 3% and reduce cost of doing business in the emirate. According to chief economic adviser DED (Dubai), Dr. Raed Safadi, they are working on new initiatives that will be announced in September 2018. Their aim is to provide incentives that provide benefits on wider scale. He said that initially they will announce results of their previous incentives and then announce even bigger incentives in September. He added that purpose of upcoming initiatives will be to make economy more competitive, make it knowledge-based and accelerate its growth. But he refused to describe the measures that will be announced in September. He ensured that these upcoming measures will benefit both big companies and SMEs (small & medium enterprises). He also told that laws regarding 100% foreign ownership to mainland companies are to attract foreign investors and it will not impact negatively on free zones. Interested companies have to meet certain requirements of minimum investment and number of jobs before applying for 100% foreign ownership. 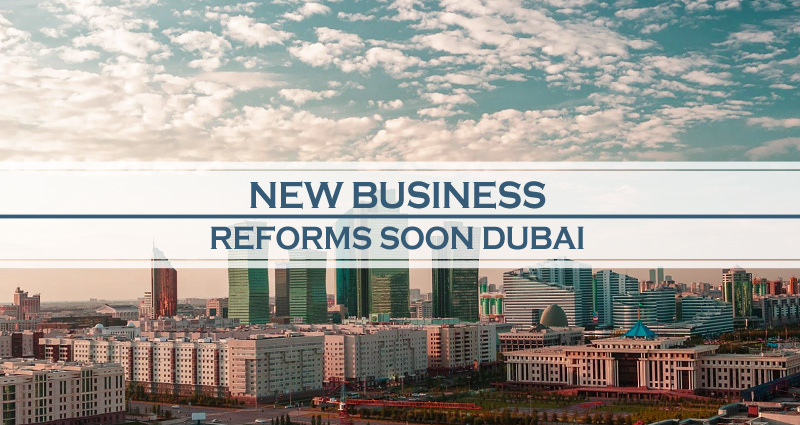 These recent measures and expected upcoming second round of incentives for big companies and SMEs clearly reveal that the future for all types of businesses is quite bright in Dubai and UAE. These measures will certainly attract more foreign investment in Dubai that will ultimately result in growth of Dubai’s economy. Whether you own a big company or an SME, it is best opportunity to make your place in one of the world’s most competitive market that provides best facilities to all types of businesses. In order to make this process simple and quick, you can contact Riz & Mona Consultancy. We provide best services for trade license in Dubai.